Two women and the abusive husband of one of them run a boarding school. The women plot to murder the husband, but he seems disinclined to stay dead. Film gris. One of the great suspense films. It can stand securely alongside Hitchcock's output. 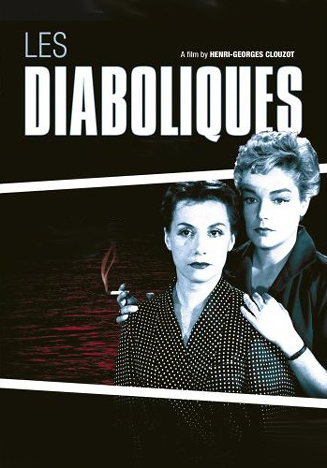 In fact, it's based on a novel by Pierre Boileau and Thomas Narcejac, who were also the source for Hitchcock's Vertigo. And Planet of the Apes, come to think of it. The film industry owes these guys a lot.